Now in its 4th year this event offers an incredible and unique opportunity to swim and race on a grander scale in the largest man made lake in Northern Europe with a 27.5-mile shoreline set in over 250 square miles of the largest working forest in England. Leaplish Waterside Park offers panoramic views of the reservoir, and is the ideal base to recharge and refresh or take part in an action packed day of activities. 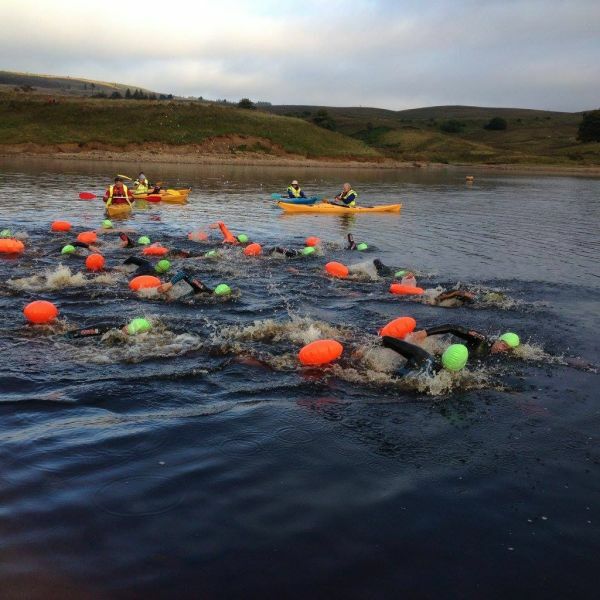 With excellent Facilities and various onsite accommodation options available - for more information go to https://www.vitalevents.co.uk/events/kielder-water-swim. We will be joined by a very special guest - none other than Olympic Medallist and former World Record Holder Jo Jackson! There will be 3 distances on offer – the Classic Mile swim, a 3.8k Iron Distance and the ultimate test – a 10k Swimming Marathon, don’t miss this one! Swimmers for each distance will be grouped and start together, electronic chip timing will be used to ensure all participants receive an accurate finish time. For the 10k marathon swim - full route support and feed stations will also be provided. Swimming caps will be provided and must be worn by all swimmers. Each finisher will receive a custom designed medal and 'goody bag'. Prizes will be awarded for Male and Female overall Winners in each category.